Here is some exciting news about the work of family leaders at New Highland Academy. 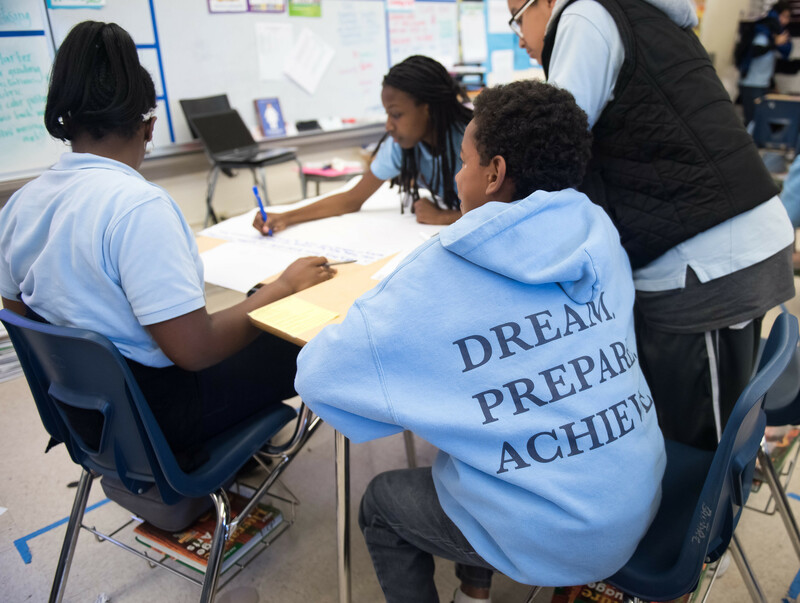 After losing both fifth grade teachers and having substitute teachers for a two months, Families in Action fought for and received eight weeks of after-school math tutoring for all fifth graders at New Highland. 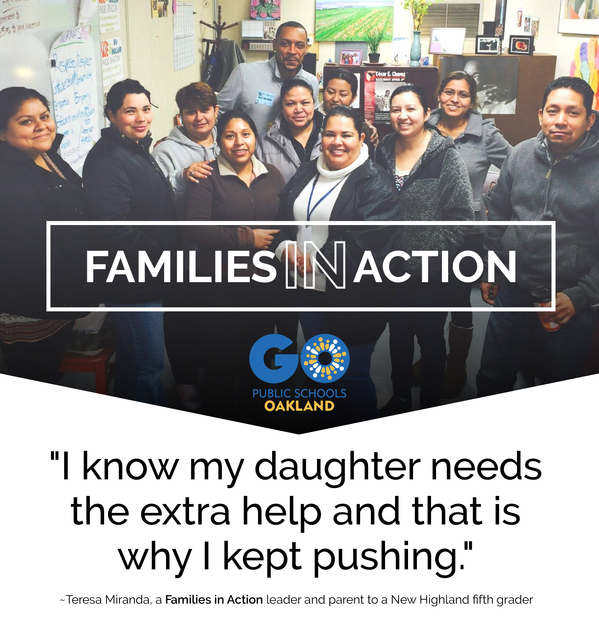 Miranda and other family leaders spent the past two months organizing and mobilizing with GO Public Schools Oakland Organizer Anayvette Martinez to ensure that their students received the additional support. The leaders met with school and district staff members as well as their school board representative, James Harris. New Highland is home to some of our most underserved students with a student population that is composed of 72 percent English Language Learners and 75 percent who receive free and reduced lunch. 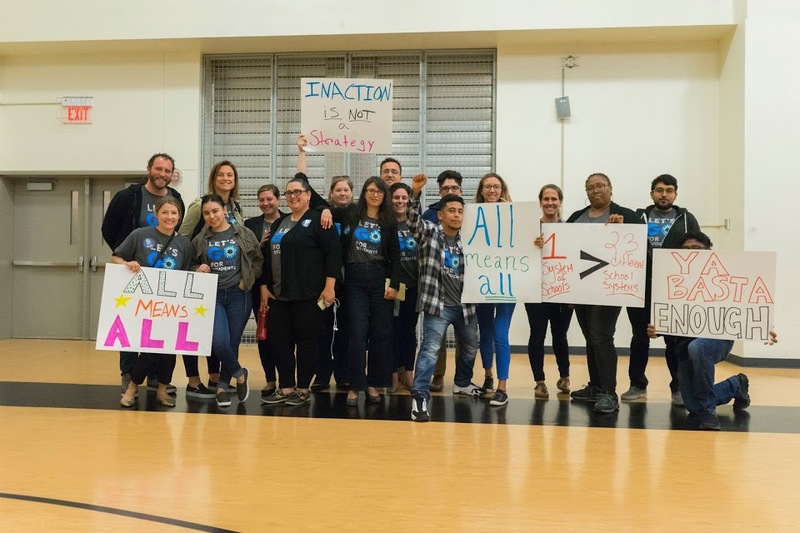 Oakland Unified School District has worked for years to address its teacher retention rate, which is about 77 percent district-wide, meaning the district loses about 23 percent of its teachers each year. Teacher retention is even lower in areas of West and East Oakland where the rate is 30 and 26 percent respectively. Families in Action are leaders from Rise and New Highland committed to supporting and creating positive change for their schools. The group meets from 11:30 am-12:30 p.m. every Thursday in the Family Resource Center on the campuses of Rise/New Highland.